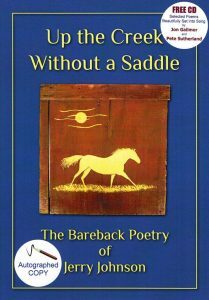 Join us for a not-to-be-missed session with award-winning Vermont poet, Jerry Johnson, on Thursday, July 14th at 2pm. 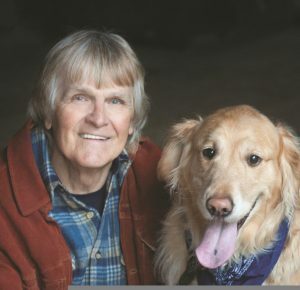 Known as “The Creek Road Poet,” Jerry will speak about his creative process, read from his recent celebrated books, Up the Creek Without a Saddle and Noah’s Song, and play songs from the CDs that accompany the books, which include his poems set into song by Vermont musicians, Jon Gailmor and Pete Sutherland. 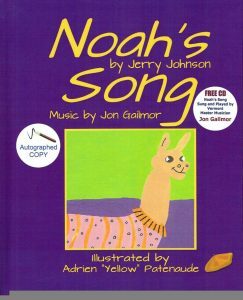 Up the Creek Without a Saddle and Noah’s Song will be available for purchase and Jerry will be signing books. This free event will be held at the Village at Cedar Hill and is open to the public. Refreshments will be served following Jerry’s presentation. Jerry Johnson lives in a restored century-old schoolhouse in Vermont’s Northeast Kingdom. He is a retired professor from Fitchburg State University in Massachusetts where he was a finalist for the school’s excellence in teaching award. In addition, he has been a civil engineer, tennis pro, carpenter, artist, freelance writer and editor. Jerry is a graduate of the University of Massachusetts at Amherst where he was honored with the Eastern College Athletic Conference Award as the school’s top scholar-athlete. He received his master’s degree from Purdue University. Following the presentation refreshments will be served. Admission is FREE. For more info please call Barb Flinn at 802-674-6609 or email BFlinn@cedarhillccc.com.